Forgiveness and your health have a specific relationship, although it may not seem that way at first. Whether it is an argument with your spouse or a long-held resentment toward a friend or relative, unresolved conflict goes deeper than most people think. Fortunately, research has uncovered that the simple act of forgiveness can reap huge health benefits for virtually everyone. Although specific studies are unable to determine exactly how it works, forgiveness and your health are closely related. For example, a study completed by Johns Hopkins Medical University discovered that forgiveness is good for your heart. Published in the Journal of Behavioral Medicine, the study found that forgiveness is associated with a healthier cardiovascular system and even stronger blood vessels. However, those who harbor unforgiveness or cling to resentment are at a higher risk for high blood pressure and heart disease. Interestingly, the longer you hold a grudge, the more chance you have of developing a heart-related disorder. Research has also determined that those who regularly forgive offenses, whether large or small, experience less stress throughout daily life. This is a major finding, as high levels of stress are linked to many diseases. For instance, those under continuous stress often suffer from high blood pressure, generalized anxiety disorder, depression, cardiovascular disease, and diabetes. Even obesity is found more often in those who lead high-stress lives. As you may suspect, certain stress is difficult to eliminate. However, stress from holding a grudge is certainly something within your control to change. Although researchers have been unable to find the exact link between the endocrine system and holding grudges, it is clear that one exists. A study completed by the Mayo Clinic indicated that a large percentage of those with thyroid disorders are people who find it hard to forgive others. Studies are underway to determine if perhaps this has to do with the increased levels of stress associated with unforgiveness. The connection between forgiveness and your health may also include catastrophic disease. The link between cancer and emotional disorders has been studied for many years. Although there is not yet any definitive proof that any particular repressed emotion causes the disease, there are some indicators that this might be the case. In certain instances, cancer is thought to be the result of the suppression of grief, resentment, hate, anger, unforgiveness and other emotions that are considered “toxic” by mental health professionals. According to Psychology-Oncology magazine, holding a grudge and harboring feelings of hatred and anger, rather than purging them, can suppress the entire immune system. As you may already know, the immune system is your first defense against harmful cell division. What you may not be aware of, however, is that approximately 25 percent of the population has taken the first step toward cancer. Fortunately, in these cases, the radical cells were destroyed, and the inappropriate cell division stopped by the person’s immune system. However, when the immune system is not properly functioning, malignancies sometimes form. It is easier to understand with the following example: those who have had organ transplants must take immunosuppressive drugs for life. Unfortunately, this increases the transplant patient’s risk of cancer. Similarly, those who suppress toxic emotions, such as unforgiveness, may suffer from this same immunosuppressive phenomenon. Additionally, the stress associated with holding a grudge may also increase cortisol levels. Extremely high levels of cortisol–also called the stress hormone–sometimes harms the immune system. Although many types of depression occur for no known cause, sometimes the cause can be found. Many individuals under a doctor’s care for depression are sent for psychotherapy or some other type of mental health treatment. Psychology, Today magazine, reports that individuals who work through anger and grudges in therapy fare much better after a diagnosis of depression than those who take medication. In research published by the New England Journal of Medicine, individuals receiving medication and those being counseled by a licensed professional were studied. The group receiving counseling for negative emotions had much better results than those who simply took drugs. Additionally, when forgiveness and letting go of grudges was introduced to the therapy, an impressive 70 percent of patients had an improvement in their depression without medication. Research has also determined that forgiveness is positively associated with five major parts of life. Individuals who are quick to forgive suffer from less physical symptoms, experience less fatigue, have a better quality of sleep and less somatic complaints. Interestingly, the fifth benefit is a lesser need for drugs: those who refuse to hold grudges typically take less medication regularly. Forgiveness and your health: Those who make forgiveness part of their everyday life are also spiritually stronger than their unforgiving counterparts. This is yet more proof that conflict management through forgiveness has a considerable impact on your general health. In another research paper published in the Personality and Social Psychology Bulletin, it was indicated that forgiveness even might help to restore a positive feeling toward the offending party. Therefore, if the offense was not bad enough to sever the relationship, the forgiving party may ultimately save the relationship by not holding a grudge. 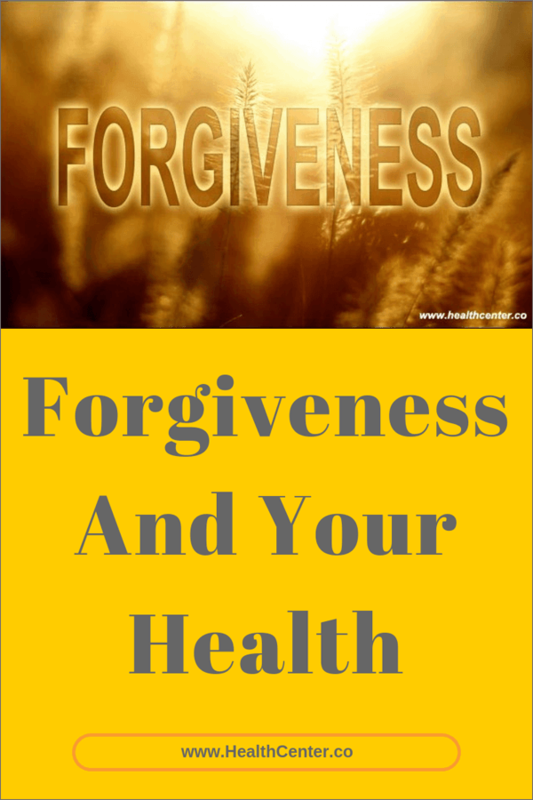 Forgiveness improves your health mentally, as well. This is because people who are apt to forgive both small and large offenses also typically exhibit other altruistic behaviors. For example, those who quickly forgive are also those most likely to donate to charity and volunteer for various causes, when asked. Studies show that those who participate in such activities usually lead to more fulfilling lives. Although it may at first seem a simple term, many people struggle with exactly what forgiveness is and how they go about making sure that they have an attitude of forgiveness toward those who have wronged them. For example, you may have held a grudge against someone because you believe that forgiveness means you are saying what the person did to you is okay. However, forgiving a person does not mean you are condoning the person’s actions or behavior. In simple or general terms, forgiveness is essentially nothing more than a decision to let go of your thoughts of revenge or resentment. Another way to define forgiveness is releasing the desire to see the offending party punished for his or her actions. Even though the act that offended or hurt you may be a permanent part of your life, forgiveness allows you to let go of the negative emotions. The latter may be stopping you from focusing on the more positive aspects of your life. In other words, forgiveness does not mean that you excuse the person who hurt you from responsibility or justify or minimize the wrong. Rather, it brings peace to your life that will ultimately allow you to have a happier, healthier existence. In specific cases, forgiveness may even lead to feelings of understanding and compassion for the person who wronged you. If you are like most people, you may not realize that forgiveness is simply a choice. Many people confuse the act of forgiveness with an emotion or feeling. However, the decision to forgive has little or nothing to do with the emotional impact of the wrong. In certain cases, trying to empathize with the person who has offended you can go a long way toward eliminating grudges. Of course, this will vary considerably from one situation to the next. However, putting yourself in the other person’s shoes often lessens your anger when the person appears to be acting out toward you in a negative way. For example, perhaps your spouse or friend was raised in an alcoholic family. Anger toward you if he or she thinks you have had too much to drink may be more understandable when you keep that fact in mind. Once you try this technique, you may find yourself not nearly as apt to hold a grudge over certain behaviors. You should also make every attempt to forgive people deeply. This is because merely forgiving a person because you think there is no alternative or because you must do so according to your religion may not always bring healing. One study discovered that individuals whose forgiveness partially came from understanding that nobody is perfect were sometimes able to heal and resume the relationship with the offending party. However, people who forgave only on the surface often wound up in a worse relationship than before they decided to forgive the person. For this reason, it is always best to try to forgive from your heart, rather than simply going through the motions. In some cases, an apology may do little or nothing to change your relationship with the offending party. Sometimes far more energy and time is spent on trying to elicit an apology that would be used if you simply forgot the matter. In certain instances, it is unrealistic to expect an apology depending on the person with whom you are dealing. Certain individuals have significant amounts of pride and therefore find it difficult to apologize. The person may merely reappear in your life to offer to lend you a great book or see if you want to try a new dish he or she made. Such actions are an apology for certain people and in some cases the only one you can realistically expect to receive. This is where you must decide if the relationship is worth simply letting the person “get away” with what they did. In almost all cases, doing so is a much better option than holding a grudge. Once you decide to forgive a person for an offense, seal your decision with action. If you do not do so, you may end up reverting to your former unforgiving state of mind. You can cement your choice by telling others about your decision to forgive the person, as this will make it difficult to change your mind later. If possible, you should also tell the person who wronged you that you are not holding a grudge. It does not matter how this information is received by that individual. Rather, what is important is that you held the line on your decision. In the future, scientists will likely discover that forgiveness and your health are even more closely linked than previously thought. For this reason, you owe it to yourself to avoid any possible health repercussions of holding on to anger. It is much wiser to release your grudge against those who have wronged you and free yourself from the destructive emotions of resentment and unforgiveness once and for all.